Intensive Care Unit or ICU is where the patients who are critically ill are admitted for treatment. For such critical conditions the Doctors need to have an all-time update patient’s health related parameters like their blood pressure, heart pulse and temperature. To do manually, this is too tedious a task and also for multiple patients it becomes close to impossible. For this type of situations this IOT based system can bring about an automation that can keep the Doctors updated all time over internet. 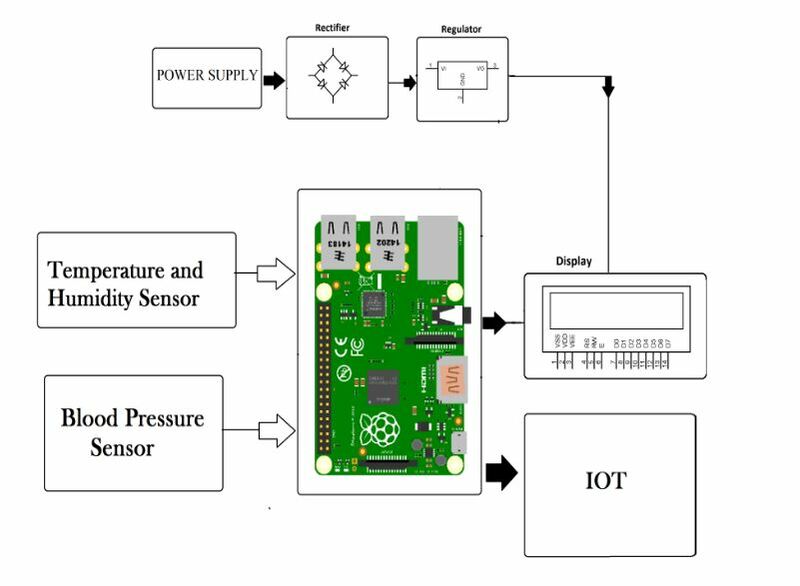 IOT Based ICU Patient Monitoring System is a Raspberry Pi based system which collects patient’s information with the help of few sensors. It uses Wifi module to communicate this information to the internet. 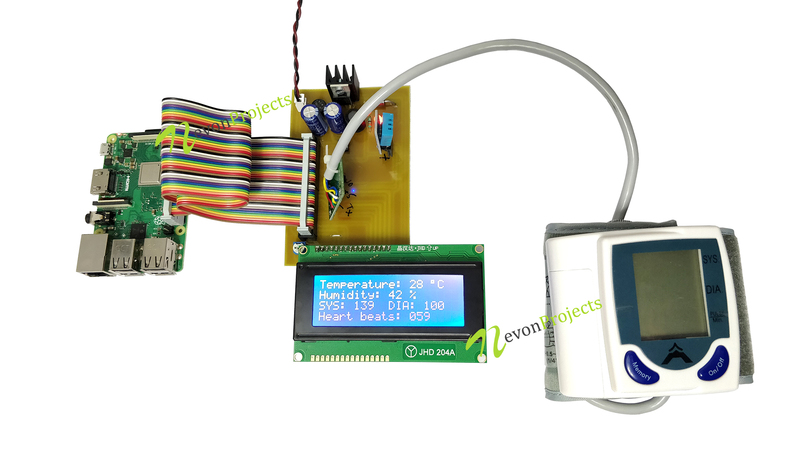 There is this Blood pressure and heart beat monitor module electrically connected to the system and physically to be worn by the user. On the press of button, the sensor senses the blood pressure in systolic and diastolic along with the heart beat and sends it to the central controller. 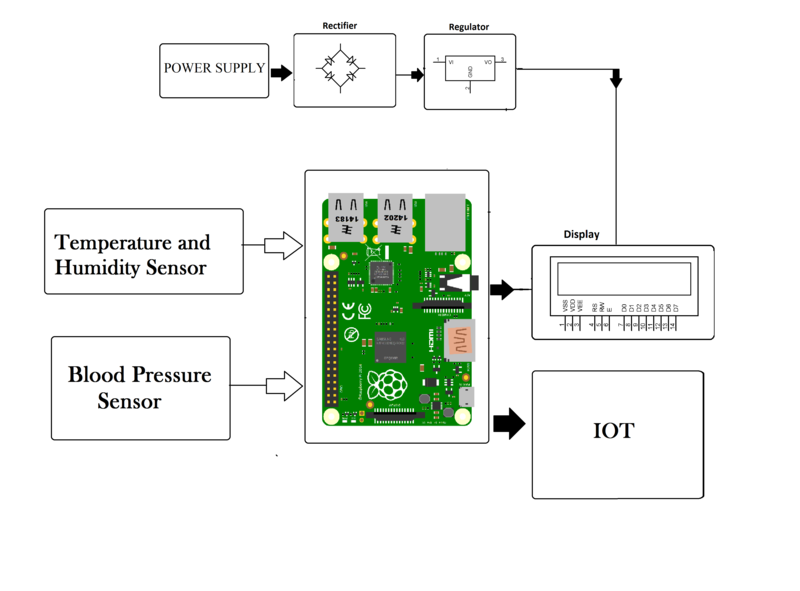 The Temperature sensor senses the temperature of its ambience, so when this sensor is in close proximity of the user it reports the users’ body temperature. 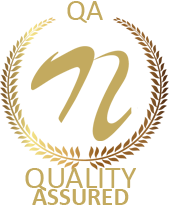 Thus, the doctor can get access to these vital parameters pertaining to the patients’ health over the IOT Gecko web interface from anywhere over the world. In this way IOT Based ICU Patient Monitoring System is an enhanced system that helps in monitoring ICU Patients without any manual intervention.